And finally, in December, Debbie G. got an advance copy of her upcoming book! 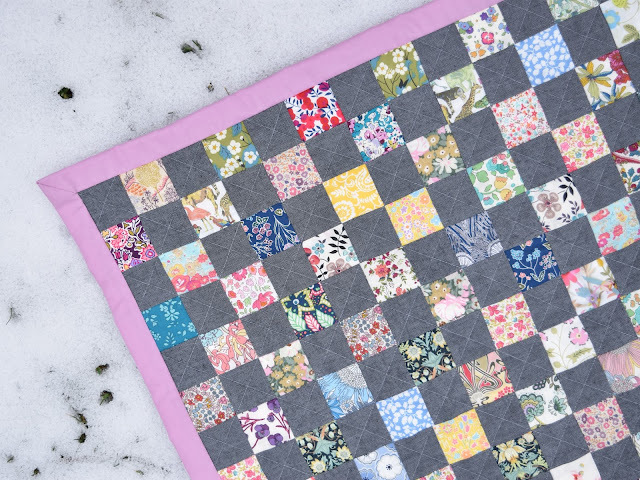 Debbie has her "Igloo" quilt pattern available in Modern Patchwork's winter 2015 issue, just out, and also posted her "Winter Star" quilt Charity Challenge finish and the PDF pattern for her January Charity Challenge, "Butterflies". 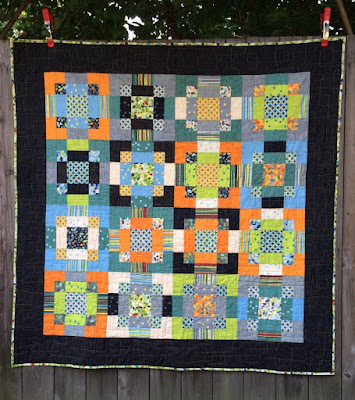 Pam L is participating in a 2016 finish-along so has shared quite a few goals for UFOs, also has a new baby quilt in progress, finished a wedding quilt top, and has posted a finished wedding quilt gift from August. Nice use of a two color binding there! 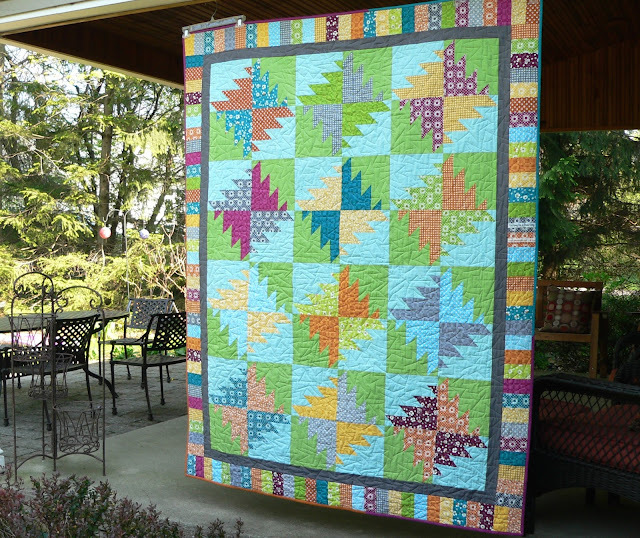 Karen posted about the Modern Buzz Saw quilt she made for Brenda's Pie Making Day booth at Quilt Market earlier in the year, using a pattern from Amy Smart's "Fabulously Fast Quilts" book. And on the back she made a version of the Sawtooth Stripe quilt from Denyse Schmidt’s book "Modern Quilts Traditional Inspiration". 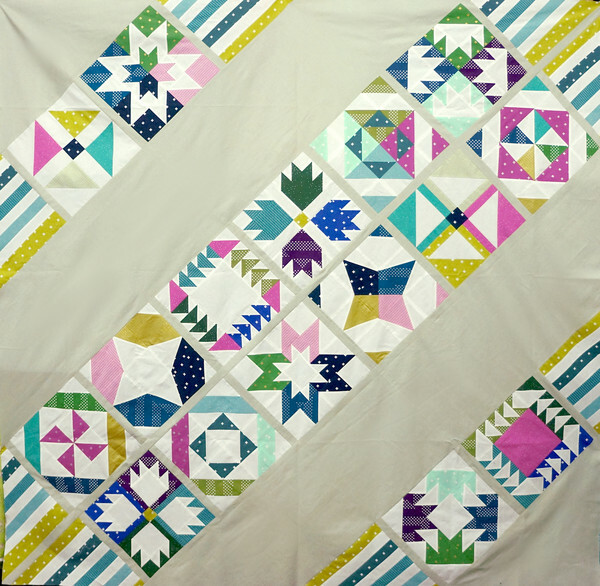 And finally Giedra posted about her November Nights quilt that is going to QuiltCon 2016! Welcome to the first post resuming our regular roundup feature! Amy has a new pattern for the traditional Antique Tile block she is calling “Antique Tile 2.0” that is available now on Craftsy. It’s free and charm pack friendly. Check it out! Debbie shared another finish for her Charity Quilt Challenge, Campfire, and also the plans for her December Charity Challenge quilt, an awesome extra large Carpenter’s Star. 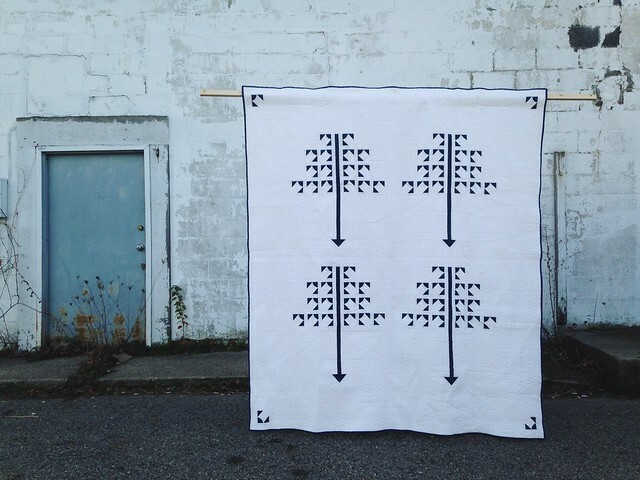 Dorie posted about "Tree of Drunks", the third in her wonderful series of temperance quilts. Outstanding quilting by Lynn. Jenna’s most recent finish is called "Night Trees" and was started in Sherri Lynn Wood’s scrap doodle class at Quilt Con 2015. Also in the holiday spirit, Lynn shared an Advent calendar she made collaboratively with her daughter. So great! The ornaments are all so cute.